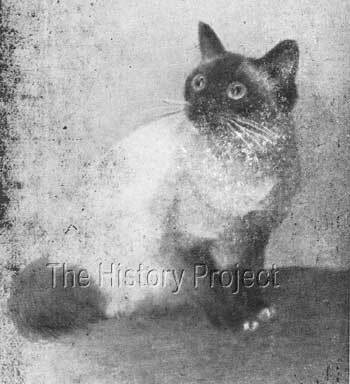 The thesis of Philippe Jumaud (1925), later published as Les Races de Chat, included this grand photograph of a striking Birman cat in the 1930 edition1, which means that this cat must have predated 1930. 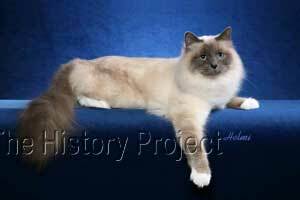 The Sacred Cat of Burma remains one of the most alluring of all the semi-longhair breeds. With their sapphire-blue eyes, pointed coat pattern and distinctly unique white gloves and spearheaded gauntlets, they assume a mystical, almost transcendental air; which has won them the admiration of millions of cat lovers worldwide. 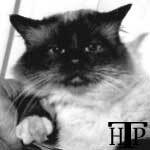 In his early writings about the breed, Dr. Jumaud, a French Veterinarian and Birman fancier, reports that the first recorded observation of these sacred temple cats was by British Army Major Russell Gordon, who had been charged with protecting the priests of the Khmer (known as Kittahs) in 1898. Major Gordon's account of the Temple, was that it was situated to the east of Lake Incaougji, between Magaoug and Sembo, in what was basically a desert region, surrounded by barriers and almost insurmountable walls. It was here where he was permitted to observe the last of the Kittahs with their sacred animals. The Legend of the Birman Cat 'Sinh', who sat on the bowed head of his deceased holy master 'Mun-Ha' before the Goddess Tsun Kyan-Kse, and was duly transformed from a yellow-eyed white cat to the golden hued, dark pointed, blue-eyed beauty with white feet, (where the feet came into contact with the body of his dead master), was related to Major Gordon by the Kittah-Lama, Yotag Rooh-Oughi, and later published in 'Minerva' by Dr. Fernand Mery. The story relates that on the seventh day 'Sinh' died, carrying to Tsun Kyan-Kse, the transmigrated soul of his holy master, 'Mun-Ha'. 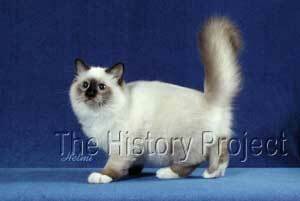 As to sequence of events leading to the arrival of the first Birman cats in the West, although not a legend, it is still shrouded in a degree of mystery, mostly due to a lack of documentary records, confusion over the names of the actual importers, and confusion over the possible outcrosses. 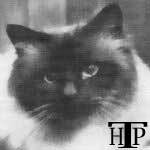 Writing in 1926, Jumaud advises that the American millionaire, Vanderbilt, whilst cruising in his yacht in the Far East, obtained two cats, a male and a female, from an unfaithful servant who came from the temple of Lao-Tsun. It is assumed that the cats had been stolen. Mr. Vanderbilt is then reputed to have given the cats to a Mme Thadde Hadisch (Vienna). 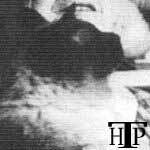 What is not clear, is whether this woman was behind the original purchase, or perhaps a guest of the Vanderbilts. But she soon disappears without a trace from the story. The two cats, appear to have been a male named 'MADALPOUR' and a female named 'SITA'. The male apparently died accidentally while at sea, although no details of his demise appear to be recorded, but it was subsequently discovered that the female, who did survive the journey, was already in kitten to him. 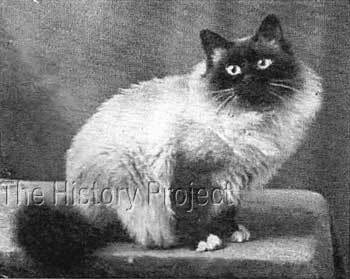 The boat returned to France, and the female kittened her original litter in Nice, in 1920. 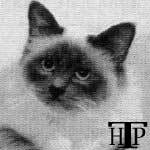 From this litter one of the kittens (a female), was considered to be a perfect specimen and was named 'POUPEE'. 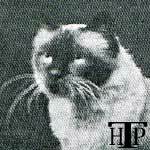 This 'Poupee' was therefore the only recorded fully Birman offspring for which there is an oral record. What, we might wonder, happened to any of the other kittens that may have survived from this very precious litter! No further mention is made of the original queen, 'SITA' or any further progeny from her, nor of alternative breedings, or of progeny from her daughter 'POUPEE'. The words 'successive breedings' is also open to interpretation, as it could mean repeat breedings OR alternative breedings and a number of generations. 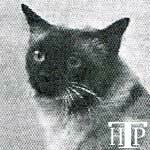 However, in 1933, the Swiss Abbot and breeder and author Marcel Chamonin (who wrote under the pseudonym of Marcel Reney), attempted to uncover the truth about this initial outcrossing of 'POUPEE' by writing directly to the famous doctor in Nice; who replied saying "We have had indeed several Siamese cats but know nothing of the origins. I know nothing of Mme Hadisch from Vienna. 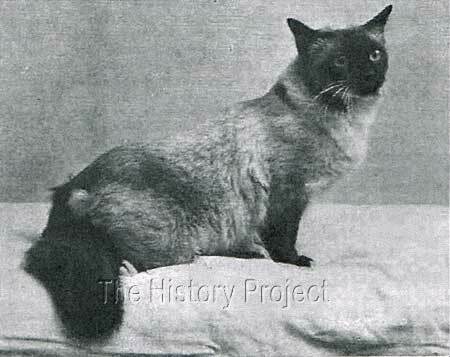 "3 This would appear to affirm that the 'Laotian Lynx' was in fact a Siamese cat of "unknown pedigree". 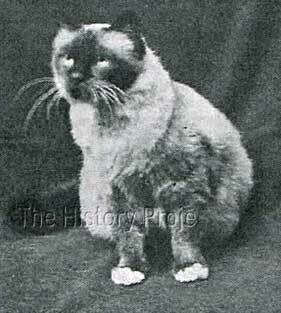 If we assume that the outcross was in fact an unregistered Siamese of unknown origin, we must also assume that this litter would have been comprised of all shorthaired kittens, unless the Siamese was already carrying the gene for long hair! 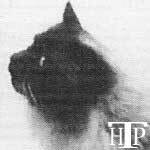 It is in fact unclear as to whether 'MANOU de MADALPOUR' was from this breeding, or from a successive breeding but it is generally accepted that his dam was 'POUPEE'. 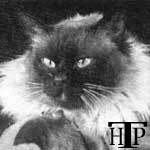 He is also listed in Birman databases today, as from the 'Laotian Siamese' and 'POUPEE'. Madame Marcelle Adams, who owned MANOU de MADALPOUR, affirmed to Marcel Reney that a certain Madame Leotardi, had related the Birman story as Jumaud and Baudoin had recorded it. It appears that she had obtained Manou from Madame Leotardi and photographs of this male and his mother 'Poupee' appeared in the 1st October, 1926 issue of Vie A La Campagne4 after they were successfully exhibited at a show in Paris in 1926 with the owners name recorded in the captions. 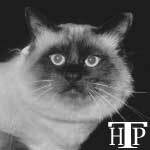 Birman breeder, author, and former Chairman of the Birman Cat Club (GCCF) Vivienne Smith, gives us what is probably the best overview of the breeds development from those early years in her book The Birman Cat. Modern-day Bluepoint adult(left) and Sealpoint Birman kitten(right). Since those times, 'The Sacred Cat of Burma' has grown from strength to strength, and is now a popular breed recognized universally world-wide. 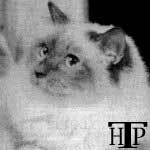 Birman cats can be found in almost every country of the world and can be counted as one of the most popular long-hair breeds of modern times. Their admirers are many, and their charm infectious. With their wonderful pointed coats, their gloved white feet and their azure blue eyes, they still impart an air of their holy and mysterious origins in the far off temple of Lao Tsun. Colour Photographs courtesy of and copyright to Helmi Flick.